First Review of Inhumans says it is complete SH##! 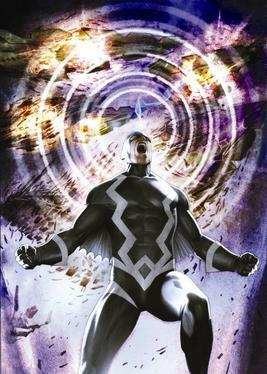 Lets face it everyone wanted Inhumans to be good. There has been so much build up of the Royal Family on Agents of SHIELD this show feels like the climax of years worth of work. However as soon as trailer began to roll from the show it looked increasingly off. What is really amusing about my idea is that someone at Marvel had a very similar idea for how Inhumans should start. In the VR Game Marvel Powers United we see a Black Bolt, Crystal and Lockjaw all very much based off the new TV look. However, these characters are facing off a giant Kree army as they battle on Attilan. This seems very much inline with how I would have started the series see my blurb below. Would of could of should of. By the way I still don't like Blackbolt without his mask I think he looks like a chump. A Kree armada descends upon the Blue Side of the Moon. A shuttle with a Kree ambassador lands to discuss the NuMan situation on Earth. They try to claim that the NuMan are the property of the Kree and ask to remove them from the planet. Black Bolt is interpreted to say through Medusa "No". 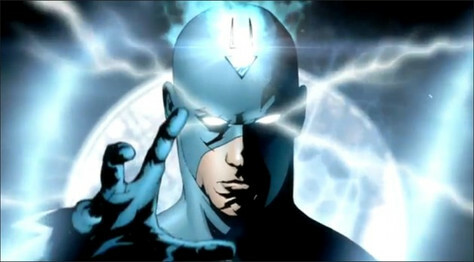 The Kree amassador is irrate at Black Bolt's insolence. He informs King Black Bolt that he has brought an entire armada capable of wiping out entire star systems. The ambassador orders his men to seize the Inhumans. As the Kree move into position Black Bolt calmly vaporizes them he then takes the ambassador outside and blows away the Kree armada leaving only one ship. He then tosses tosses the ambassador into the last shuttle ship and gives a stern look to Medusa who offers up one translation. "King Black Bolt says No means No." BOOM BOOM BOOM BOOM that is how I would have started this thing. That seen would give the Marvel fans the Black Bolt they always wanted. Have some awesome special effects, give the show a reason to start the "NuMan" situation and also tie the show to the other Marvel properties. A quick wham bam WOW seen. Yes I would have Black Bolt wear his iconic mask in the scene (AND THROUGH OUT THE WHOLE SHOW). Doesnt look like we will get anything at all like that. There are worrying signs all over the place. Actors from the show appearing on panels already began to have that Fantastic Four look of not really wanting to be there, as if they all kind of new this was an incoming flaming train wreck of dog poo and not really wanting to be around when it showed up. Well all of that worry seems to be correct. IGN has seen the first 2 episodes of Inhumans and they give those first two episodes 4/10. Not only do they say you should not go see it in Imax but they say you should skip the show altogether. Now I am still going to see the show, and I was planning on seeing this in Imax. But do I? The review from IGN really does nothing but confirm the impression that the show had already given out, that it is going to be low quality. You can see the full IGN article HERE. The idea behind this show is still really daring and conceptually cool. I mean a show with a debut in Imax theaters? Has that ever happened? But when you do something like that you need to back it up. Unfortunately, launching Inhumans as an IMAX movie does more harm than good. The story simply doesn’t have the scope, scale, or polish to make use of such a bold format, and it shows. The cast includes some talented actors, but they’re buried beneath the show’s glaring flaws, making it impossible to get invested in anyone enough to want to see what happens next. Ken Leung’s Karnak earns the premiere’s only real laughs by always saying what’s on his over-analytical mind, but the confusing first demonstration of his powers will leave you scratching your head. Alright so what about the Game of Thrones actor Iwan Rheon who seems like a shoe in for Maximus the Mad. Is he able to make Maximus into a great villain? One bright spot in this review is that they do not mention Medusa's hair so maybe that is better after some added visual effects: That said they still don't like what happens to Medusa. The writers just didn't know when to quit putting Serinda Swan’s Queen Medusa through the dramatic grinder, resulting in a scene that is unintentionally cringe-worthy. Alright Lockjaw. How can you mess up a cute teleporting dog. Actually apparently he is a bright spot in the show though not enough of one. Not even Lockjaw, the obscenely cute, giant, teleporting dog is enough to make you want to sit through another episode. According to IGN no it is not. They say it not even watching on TV. For a show that needed some good publicity this is certainly not it. Hope for this show now rests in what is after those first episodes. It is hard to have hope that the shows with a TV budget perform better than the first 2 with the Imax attachment. IGN also says that the show did not research what made the comics intriguing. Well as a comic fan who knows about comic sales I will say this....Inhumans is not that intriguing as a comic either and they don't sell well. Both X-Men Gold and X-Men Blue sell better than a really interesting and well written Black Bolt series that is just a fact. I will tell you this though if your main character is Black Bolt then you try to get Black Bolt right, which means giving him his freaking cool looking mask and letting him use his powers. This gives the Inhumans a reason to be in the MCU. No Blackbolt? Then why does this show even exist?